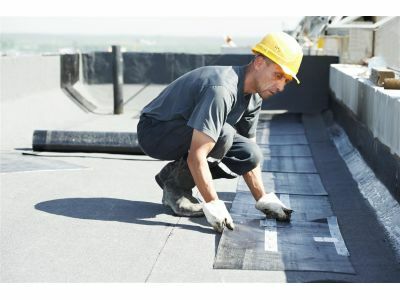 When it comes to preventing leaks and extending the lifespan of your roof, ongoing roof maintenance is critical. If you own a property, you’re undoubtedly aware of how difficult it can be to monitor your roof and perform regular upkeep… especially if you’re doing all of the work yourself. From the blistering heat of summer to the bitter cold winds of winter, environmental hazards can wreak havoc on your roof, shearing off shingles, disturbing underlayment, and causing damage that can lead to leaks, mold, and rot. In today’s post, we’re going to discuss how the team at Wharry Engineering can help you get the most out of your roof. The primary reason that property owners perform regular roof maintenance is to lengthen the lifespan of their roof. Roofs are expensive, installation is a hassle, and replacement can take months. Increasing the lifespan of your roof is a surefire way to save money, prevent shutdowns, and avoid the headaches involved with locating and hiring a contractor to perform a roof replacement. The second big – and we mean big – reason to perform regular maintenance is to avoid leaks. Leaks can be seriously detrimental to your operation. Whether they’re causing damage to your products, creating safety issues for your employees, or forcing you to perform expensive roof repairs, roof maintenance is a great way to identify small issues before they evolve into larger (and more expensive) issues. At Wharry Engineering, we strive to provide our customers with the information that they need to get the most out of their roofs. Whether you’re a small business owner, a mass manufacturer, or anything in between, our roof maintenance services are designed to help you get the most out of your roof.